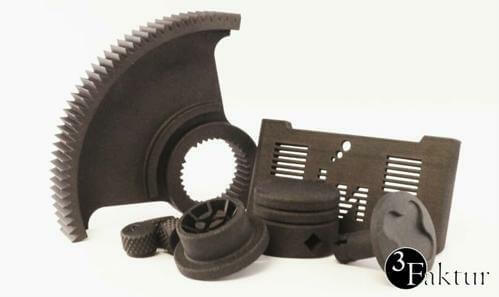 Additive Manufacturing of Plastic Parts. 3Faktur is a 3D-printing service bureau based in Jena, Germany. We serve the most innovative companies all over Europe in the automotive, high-tech, medical, engineering, and aviation industries. Our service includes rapid prototyping (starting at a quantity of 1) as well as additive manufacturing (batch production of several hundred to a few thousand) of plastic parts. We use high-end HP Multi Jet Fusion 4210 machines to produce your end-use parts in Nylon 12. With up to 3,000 parts per week, we operate highly optimized production processes to offer you high-quality parts at very competitive prices. For sophisticated prototypes, additional technologies and materials are available. 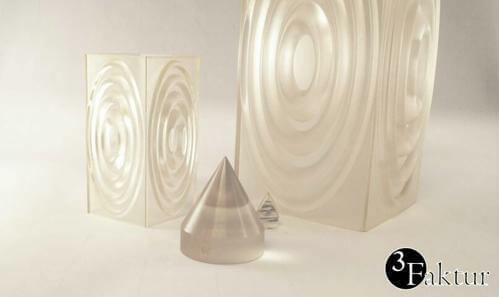 Stereolithography is available for highly accurate parts up to 450 mm (soon 750 mm! 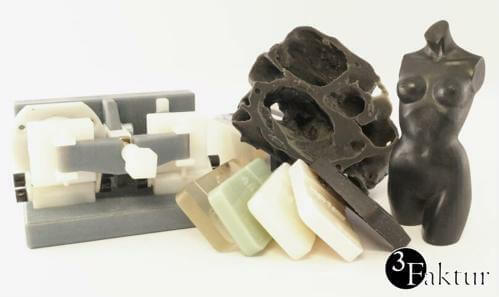 ), and Polyjet is available for transparent, soft, and multi-material prototypes. HP’s Multi Jet Fusion (also called ‘High-Speed Sintering’) technology shifted 3D printing from prototyping to manufacturing. 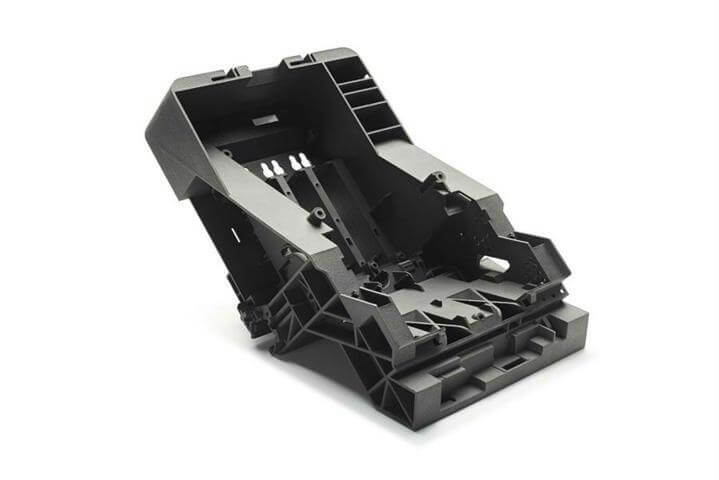 Consistent, injection molding-like quality combined with high production speed and low costs per part enable the industrial production of end-use parts. This high-resolution technology (layer height of 16–32 microns) offers a wide range of rigid, soft, opaque, and transparent materials. Furthermore, even multi-material (e.g., soft & rigid or transparent & opaque) parts can be produced in one run. Upload your 3D file and request a quote! High-quality parts in just a few days! Short lead times even for larger quantities, high quality, and low cost per part – we make sure that you are one step ahead of your competition. Use our instant quotes or receive your manual quote from our technical service staff (Monday–Thursday 08:00–17:00, Friday 08:00–16:00) through our quoting system. Question about your project? Contact our service team! Instant quotes for up to EUR 300 + VAT or manual quotes for larger parts or quantities. We are happy to help you with your project! Contact us by mail, phone, or through our contact form. Learn more about our technologies and materials and read our background information and tutorials. Stay on top of the developments in additive manufacturing and receive news about our services, technologies and events.